The ancient traditions were of the opinion that the life of any human being was in the blood. This has been testified to be true. A lot of hype has been dealt with the issue. It is able to save a life. Thus the people who donate their blood will be considered to be a superhero by many. What most people do not understand is that the act of blood donation will benefit both the recipient and the donator of the blood. So this is what the article is concerned about. It has been speculated that the single blood donation will save up to the lives of three people. For the blood donation to be very safe it must be only done under the complete supervision of the doctors in the clinics. Because it is the safe place to donate the blood. The health of the donors must be safe in order to avoid the complications that arise due to the problems in the transfusions. The people who donate blood will save the patients suffering from the diseases like cancer, hemorrhages, chronic bleeding, anemia, sickle cell anemia and other genetic blood problems. The common people must donate their blood because there are no methods to manufacture blood. The only way to extract the blood is to collect them from the people. It is immensely an amazing feeling to be able to assist the doctors to save the lives of the humans. It has been found that there are no alternatives to human blood. The donated blood is divided into many components based on the needs of the needy patients. Each of them are used by unique recipients for different purposes. The newly born babies can benefit from one blood donor because the requirements needed by them are only meagre. A single instance of the blood donation will be able to save about five people. The donors can donate blood only if they are fit enough. Before the process of every blood donation, a line of health check-ups are performed on the donor for free. This greatly benefits them. For instance, they will come to know about the presence of any abnormalities in blood pressure. This helps them to diagnose the diseases at the early stage before they form medical complications. After the blood donation, the blood is tested for some infections. The people will be informed if any abnormality is found in those tests. The people who donate their blood frequent can enjoy a good health check-up for free which can help to stay updated. In the males, the frequent blood donations will help to maintain the iron levels in the body in perfect control. This also reduces the heart disease. The iron is a much needed element for the functioning of the body. But the excessive buildup of iron will result in oxidative damage that is the real culprit responsible for the increased ageing, cardiac attacks and heart strokes etc. Donating the blood will be the other method to have an eye on the cardiovascular health. The pulse rate will be checked, blood pressure monitored, body temperature will be checked, the amount of the hemoglobin will also be diagnosed and much more will be done. This will even shed some light on some of the problems in the body that the people have no thought about. The frequent check up of the quality of the blood can be the way to diagnose any health problem before it becomes threatening to life. A single blood donation will help to reduce 660 Kcal. It will help the people to control the weight of the body. Moreover, the blood will be donated safely once in three months and not beyond that often. This will also rely on the condition of the health and the amounts of the levels of the hemoglobin and iron in the blood. The increased amounts of iron have resulted in cancer. The scientists are of the opinion that the blood donation will often reduce the cancers growing in the body. But the research is still being conducted to collect the evidences to support this. There is an age old myth that blood donation will result in cancers but the advancements in science has pushed it to the grave. Phlebotomy has been proved to be a method to reduce the iron reduction that is linked with the decreased risk of cancer. The research also concentrated on the patients who were affected by the peripheral arterial disease which is the common problem of the circulatory system. The patients who are regularly in the habit of donating the blood will have a reduced risk of being affected by the cancer than the people who do not. 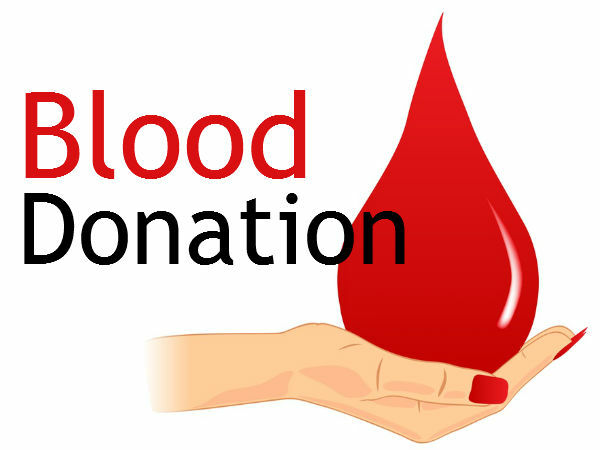 After blood donation, the body will work to restore the loss of blood. This will help to trigger the formation of new blood cells which will help to maintain good health. The level of the hemoglobin and the other types of the blood cells will be also formed instantly. The blood that was formally thick will be coagulated and will circulate to all the parts of the body with ease. This will help in the overall development of the body. Therefore the people must be encouraged to donate their blood on a large scale. The process of the regular blood donation will only decrease the weight of the donors. It is particularly beneficial to the people who are fat and are at an increased risk of developing the problems of cardiovascular diseases. But, the blood donation must not be very often. So it is good to consult the doctor before donating the blood to refrain from any scruples. The fats will be eliminated and this will give a fresh new lease of life to the people. Blood donation is helpful in decreasing the problems of the heart and the liver that are caused by the increased iron repository in the body. The consumption of the diet that is rich in iron will increase the level of the iron. The body will absorb only a little proportion of iron and the excess will get stored in the heart, pancreas and liver. It will increase the chance to be affected by the cirrhosis, failure of the liver, pancreatic diseases, heart attacks and irregular heart rhythms. Therefore the blood donation will assist in keeping the levels of the iron and thus the diseases will be not given any chance to affect the body. Blood donation that is done once in every year can decrease the risk of being affected by heart attack by 88%. This is due to the iron problem because the increased levels of iron in the blood will generally constrict the blood vessels to develop more risks of heart attack. The best way to make the blood vessels to function in the normal rate is to depleting the unwanted extra iron. This can be only done by the blood donation. The health benefits of the humanitarian act of blood donation include the decreased risk of being affected by the deadly problem of hemochromatosis. It is a bodily condition that affects the body due to the increased absorption of iron. This disease can be either inherited genetically or can be also caused due to alcohol abuse and Anemia. So the frequent blood donation will reduce the amount of iron. It is important to ensure that the donor meets the eligibility criteria of the rules of the blood donation. Even though there are many physical benefits obtained by donating blood, the best and the powerful health benefit are invariably the benefits of the psychological system. Donating blood means providing the blood to the desperate people elsewhere. The psychological health benefit that the people get from the fact that they are helping people is similar to the physical benefit itself. The extra blood that was collected from the people will be also stored in the blood bank after their usage. This is enable them to be used for the future. The doctors will treat the blood and add some chemicals in order to preserve them for a very long time. So they can be used whenever it is needed. The people who indulge in the altruistic works will definitely get to live longer than the others. This is also especially true in the case of the blood donation. There are many health benefits that can be obtained by donating blood to both the people involved. Blood donation is very good and it is also better to all the people whose lives rely on the blood donations.